I love, love, love middle eastern food. 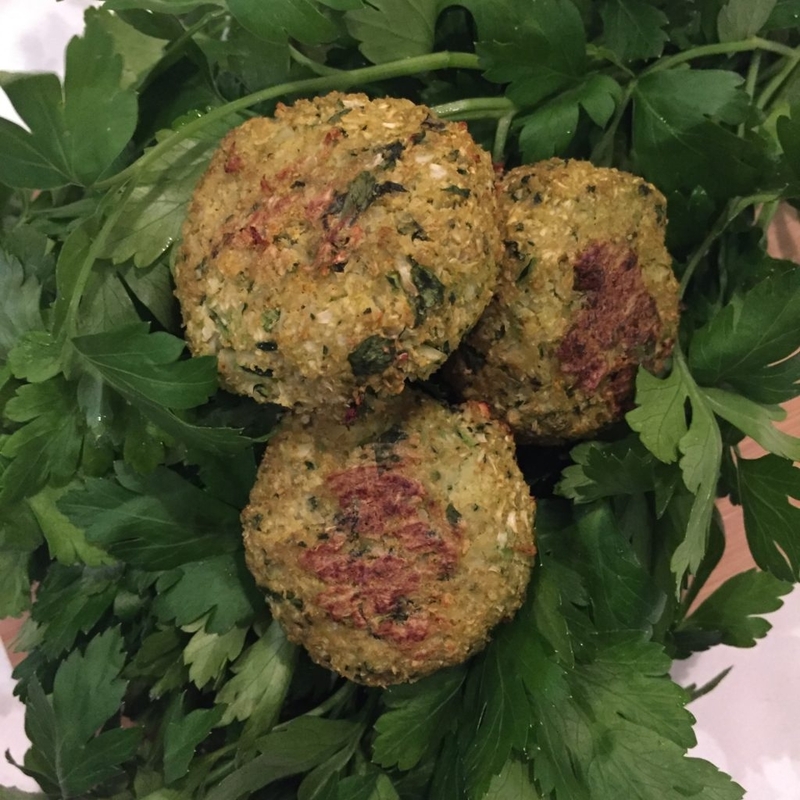 A meal of salads, dips and falafel balls is always a great quick weekday, vegetarian option or even a nice spread to put on when you are entertaining. Knowing that there are options out there where you can still enjoy the foods that you love without the additional nasties is so comforting. What I love about these balls, apart from the flavour, is the added bonus of including more vegetables into your meal. They are crispy, they are tasty but they are not dripping in oil! Pre-heat oven to 180 degrees and prepare a tray with lined baking paper. Place onion, garlic, parsley and coriander in a high speed blender and blend until it resembles a paste (don’t worry if you cant get it super smooth). Transfer into a large bowl. Place cauliflower and zucchini into blender and process until they have been finely chopped. Add this to the bowl with your onion mixture. Roll mixture into balls (squeeze out excess liquid) and place on pre-prepared tray. Bake in oven for 40-50 minutes until crispy, turning half way. Serve with hummus or tahini dip and a chopped salad.